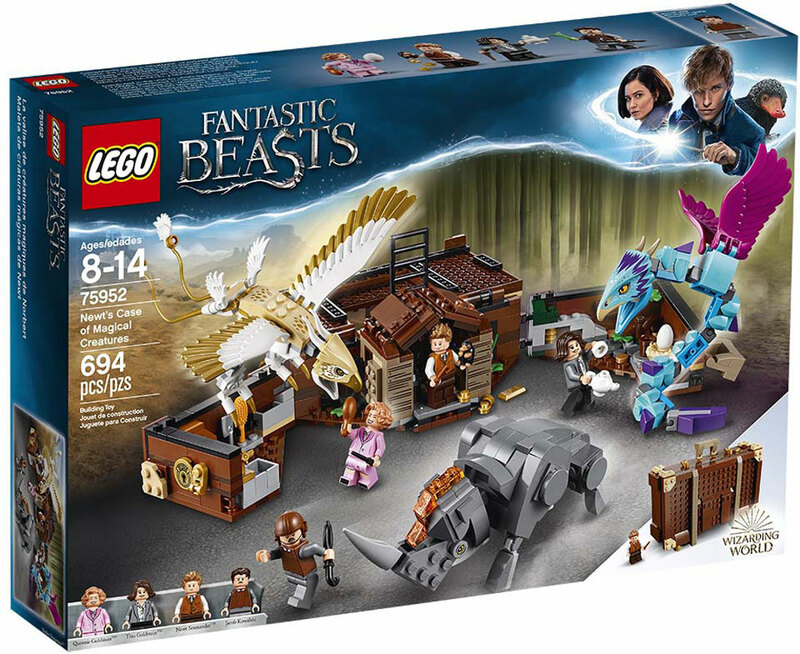 Bring wizarding world fun to any LEGO set with the LEGO Fantastic Beasts collection! Go inside Newt’s case and discover the amazing environments and magical creatures! Build a foldable LEGO Fantastic Beasts replica of Newt’s Case of Magical Creatures, with a ladder, nest, shelter and Occamy egg. The buildable, foldable case opens and unfolds for portable play. Includes 4 Fantastic Beasts figures: Newt Scamander, Jacob Kowalski, Tina Goldstein and Queenie Goldstein, as well as buildable Erumpent, Occamy and Thunderbird creatures, plus Niffler and Bowtruckle figures. 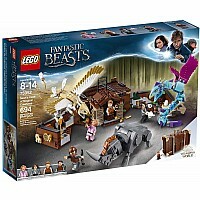 LEGO Fantastic Beasts toys are compatible with all LEGO construction sets for creative building! Measures approximately: 15.00 x 10.30 x 2.80 inches..